On April 3, merely two weeks from the general election, Edson Chamber of Commerce hosted a political candidate forum at the Galloway Station Museum, extending an invitation to all community members to come out to listen to candidates' statements and ask questions. Out of the six official candidates running for MLA for the West Yellowhead constituency, five were in attendance. NDP candidate Paula Cackett did not make an appearance. During her opening statement, Alberta Party candidate Kristie Gomuwka expressed the ability of her party to not only focus on revamping Alberta's economy, but to also make constituents' well-being a top priority. With regards to matters important to the community of Edson, Gomuwka stated that her party will work with municipalities and provide funding models that address community needs, providing examples such as Edson's proposed Multiplex, water ways, and roads. “We're committed to do this within nine months of forming government,” she said. Following the time period for opening statements, attendants were encouraged to ask candidates questions. Another attendant asked Gomuwka and Lupyczuk about their positions on the equalization formula and what they plan to do about it. Lupyczuk stated that his party will be establishing an Alberta Revenue Agency which will be responsible for the collection and maintenance of the taxation in their account. “Let's negotiate with Ottawa how much we're going to give them instead of how much they're going to take,” he said. According to Poirier, the policy of the Alberta Independence Party states that 100% of funding be given to all schools, public and private, who meet the party's common sense oath of rights and freedoms. “Basically if your school asks for money, the Alberta Independence Party will have all the money it needs for schools.” Poirier added that his party will implement an mandatory life management course taught by professionals that will include career management, monetary independence, and responsibilities of a citizen. In relation to Bill 24— an act to support gay-straight alliances—one attendant asked what candidates and their parties will do to continue to protect and support LGBTQ youth within schools. “I believe that people should have the freedom to do what they want to do, but with that said, not to push that on other people,” replied Pearce. Candidates offered their closing statements during this time, thanking the Chamber for hosting the event and community members for coming out to ask questions. The 2019 Alberta general election is scheduled for April 16. Are you new to town? Or currently looking for a fun way to meet new people and help promote one of the many amazing organizations and clubs in town? Check out the upcoming Volunteer Fair on Monday, April 8 at the Galloway Station Museum. Ali Broda, Community Development Coordinator for the Town of Edson, has organized the event as a way to connect the public with the exciting volunteer opportunities in the area. The two-hour fair will also include light refreshments. Mark your calendar and don’t miss your chance to explore the numerous local volunteer options during this event. The Town of Edson FCSS Income Tax Clinic is up and running at the Edson Friendship Centre March through to April 30. The clinic is open Monday-Thursday from 9am to 3pm. It can be accessed through the 3rd Avenue doors of the Friendship Centre. In just two weeks of being open the volunteers have been busy with just over 200 intakes. The Town of Edson FCSS and our volunteers are proud to provide this service to over 500 individuals annually. If you meet the income level parameters and are not self-employed, filed for bankruptcy, or completing a tax return for a deceased individual, we can help you. 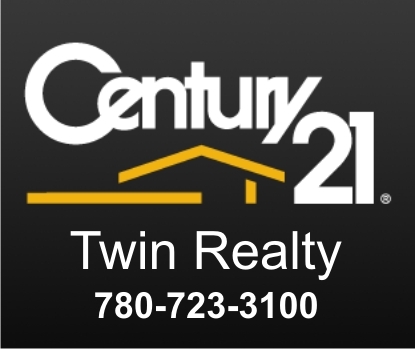 Call 780-723-4403 for more information, full parameters and eligibility. This information can be found on edson.ca or our Community Services social media page, too. Be sure to bring in all necessary tax slips and forms when you come to have your taxes done. It’s important to remember to file your taxes by April 30 to avoid any possibility of delay in government benefits. Following the close of the tax clinic on April 30th, taxes will be done by appointment only through the Town of Edson FCSS office, Community Services. The spring recruitment starts in late April, if you think you have what it takes, bring a resume down to the Edson Fire Hall at 4835 – 6th Ave.
A positive attitude and a strong commitment to the safety of the community are the main factors Chief Tyler Robinson is looking for in a new recruit. The Edson Fire Department responds to a variety of calls from fire alarm alerts to major industrial fires and everything in between. Chief Robinson says, “Typically, we respond to roughly 30-35 calls per month including motor vehicle accidents, dangerous goods responses, vehicle and structural fires, alarms, emergency medical responses, rescues, etc”, he goes on to say, “In addition to emergencies day or night, Edson Fire Fighters are responsible for ensuring the emergency response vehicles and equipment are maintained and always ready to respond. They are responsible for ensuring they can commit to two hours of training every Tuesday evening and provide on-call coverage on their assigned Platoon 8-9 weekends per year. At emergency scenes, their responsibility is to first and foremost ensure the safety of themselves and those around them. Working within the Incident Command System, they play a vital role in mitigating emergencies by ensuring life safety, incident stabilization and conserving property”. In upcoming events, this June 1 and 2, 2019, the Edson Fire Department is hosting the Northers Prairie Regional Scott FireFit Championships, the Toughest 2 Minutes in Sports, watch for more information in the coming weeks. They are always looking for volunteers to help out for FireFit weekend, if you are interested stop by and see Chief Robinson. GYPSD preschool plans may force closure of Edson Playschool Assoc. Following the February 6 Grande Yellowhead Public School Division (GYPSD) meeting, in which plans for implementing a Junior Kindergarten program into schools across the division were prepared, local groups running preschool facilities have expressed their concerns over the future of their programs. On March 4, community members representing various playschool programs in both Edson and Yellowhead County gathered together at the Early Learning and Child Care Centre to discuss these concerns and share any information they have received concerning this matter. Although GYPSD Assistant Superintendent Karen Shipka was invited to join this meeting, she was not in attendance for the meeting. Instead, Edson Early Childhood Matters Coalition Chairperson Anna Vander Haeghe recited an email she received from Shipka updating them on the situation of the Junior Kindergarten programs. “Each school program will have a different structure as the needs in each school vary,” the email read. “In some cases the playschool children will be integrated into the kindergarten classroom and will be serviced by a certified teacher. The email also stated that GYPSD will continue to support both three and four year-olds who qualify for Program Unit Funding (PUF), however, PUF children will be required to register at a GYPSD Junior Kindergarten program in order to receive these supports. Fossheim stated that the Edson Playschool Association board will finish off the year in June and will then “go off of our society bylaws which are to close the Edson Playschool Association”. Karri Keyes representing the Carrot Creek playschool mentioned that she had spoken with GYPSD Assistant Superintendent Shipka with a list of questions concerning the future of local playschools. When asked what would happen if no one shows up to the Junior Kindergarten programs, Shipka replied to Keyes that they would fold the program and send the few kids in the program to the Kindergarten room. “I was also told the same thing with Fulham that if they didn't have the proper amount of registrants they were going to a Pre-K-Grade 1 split as well,” said Peers Playschool Vice President Adele Hamilton. “They said that basically these programs would have to be self-funded at no additional cost to the schools, so there has to be a certain number of students or it's not going to work. “At the very least as early educators we all should be sending a message that it is never okay to put a three year-old in a room with a six or seven year-old,” said Edson Friendship Centre Director Kristie Gomuwka. “Much less a delayed three year old,” added Alberta Health Services Speech-Language Pathologist Nicole Halliwell. Halliwell said that the services provided to children with Mild/Moderate delays will be a huge gap, as she has received verbal confirmation that the Language Enrichment Program—which is run by GYPSD—will be folding. Keyes mentioned that their teacher with the Carrot Creek Playschool has already heard Evansburg parents say that they will be pulling their children from the Evansburg program to enroll them in Entwistle simply because it is a different school division. “I hope that GYPSD understands that now they want to take on that whole PUF piece, they better be coming to the table with a whole bunch of services,” Gomuwka stated. “They better make it sound as good as they're making it sound,” added Robinson. Gomuwka suggested encouraging parents to enroll their children in County playschool programs. Clifton added that the 200 postcards sent to the GYPSD board—which were signed by community members stating that they were not in support of the Junior Kindergarten program—were never mentioned or brought up at the GYPSD meeting. “I think this is a good representation of professional, committed, passionate people who are looking out for services for children who are feeling intimidated and bullied by the very system that is to support the families and children of our community,” said AHS Early Child Development Coordinator Carol Eberharter. During their February 26 meeting, Yellowhead County Council considered accepting the recommendations of the Joint Steering Committee in relation to building a Multi-Use Recreation complex in Edson. It is estimated that the project, as it is currently being proposed, will cost $70 million dollars. Additional costs will include the demolition of Repsol Place (with the town to determine a demolition cost). The town also needs to confirm that no additional off site work (such as water/sewer line upgrades, fire protection, intersection traffic control devices etc.) would be required to support the initiative. "As Council is aware, a joint Steering Committee made up of Councillors from the Town of Edson and Yellowhead County have been working with a consultant to review site locations and building design options that meet the requirements set out in the project scope as desired by the communities, stated County CAO Jack Ramme. "Now that this work is done, the Committee is comfortable that this is the right plan for the communities moving forward and as such is recommending that each Council agree with the location and concept design in principle," said Ramme. "As the County is adverse to borrowing funds for this project, a more conservative timeline is being proposed to bring this project to fruition." It was proposed that once the concept is presented to the communities for information and clarity, that pending any unforeseen negative reactions, the detailed design work would commence. "This would begin likely at the end of 2019 or early 2020. It is anticipated that a project of this magnitude may take 1 1/2 - 2 years to complete the detailed design component. At that point, if the economy is showing signs of strength, the project can move into the construction phase in early 2022. With an estimated two year construction schedule, the facility may be completed by 2024," stated Ramme. It is anticipated that the annual operating subsidy for the proposed facility will range from a low of $1.7 million to a high of $3.4 million. The existing Repsol facility requires a $1.5 million subsidy. Councillor Shawn Berry made the motion that Council support the recommendation of the Joint Steering Committee to proceed with the project at an estimated cost of $70 million. "I think this a wonderful project for this region. It is a much needed facility that will help keep people and draw people to our region." Councillor David Russell commented, "It flabbergasts me we originally discussed 40 million dollars, briefly discussed 50 million, and here we are looking at 70 million —although the committee did show what we'd get for 40 million and it simply was not acceptable. However, because we are planning to move ahead in a fiscally responsible manner, I am willing to support this 70 million over this timeframe. Kudos goes to the steering committee for the work they have done on this." The joint steering committee did attempt to apply for a $10 million government grant to build the facility, but it was unsuccessful. The project's funding will come from the partnership of the Town of Edson and Yellowhead County. Councillor Anthony Giezen stated, "I think this is the right facility for this region. And with the condition that the project can move ahead 'if the economy is showing signs of strength' offers clarity if one of the municipalities are struggling to collect some of its tax revenues the project can be postponed." The motion was passed unanimously to support the recommendation. In response to the January 22 Committee of the Whole meeting in which Town Council was presented with a proposal to implement a sports field user fee, there have been numerous comments from community members fearing for the future of minor soccer in Edson. On behalf of the Edson Minor Soccer Association (EMS), President Steven Lubarsky and Vice President Lacie Reilly with the association gave a presentation to members of Town Council during the regular Council meeting on February 19, relaying their concerns with the proposed fee. In the past, Edson Minor Soccer maintained their own fields through tasks such as irrigation and fertilization; however, these responsibilities have recently been handed over to the Town. “That was handed over not necessarily in exchange for user fees,” Lubsarky stated. Although the Town has been tasked with the upkeep of the soccer fields, the Edson Minor Soccer Association continues to provide a large amount of maintenance support through their yearly spring cleanup, supplying items for the washrooms, painting signage, and performing minor repairs to structures. Prior to the January 22 Committee of the Whole meeting when the proposed $20/player user fee was announced, Lubarsky explained that a few sports field user groups —including Edson Minor Soccer— met together on November 15 to discuss the proposal of a user fee. Following this discussion, the group decided to research the matter more in depth and bring it back for discussion at a later date. “The main thing we are looking for today is a commitment to push this back at least for the year,” Lubarksy said to Council, explaining that the non-for-profit association will not be able to take on the extra $6500 in fees. Mayor Kevin Zahara thanked Lubarsky and Reilly for their presentation, mentioning that Council is not in a huge rush to implement these user fees and will consider all information before making a final decision. Reilly replied that there are families associated with Minor Soccer that utilize Edson Kids in Sport, but there have been no applications for JumpStart. The association also utilizes these funds to pay for insurance for the younger kids, pay for the teams’ pictures, fund tournaments for the travel league, and pay for line painting. “[Lines] have to be done once a week and the painter as well as the paint is quite expensive,” said Lubarsky. Councillor Janet Wilkinson thanked the group for their presentation and the work they do to provide kids with the opportunity to play soccer. Councillor Jacqui Currie stated that although she does believe that a sports field user fee should be implemented due to the fact that fields used by registered sports groups require more maintenance than causal users, she stated that she would like to see a formula based on expenses to better decide on a fee. “I do think that a formula needs to be established based on the actual cost that it costs us,” she said. Councillor Trevor Bevan agreed that a user fee should be implemented and stated that he would like to give the groups as much time on either side to gather as much information as needed. In January, former Legislative Assembly of Alberta (LAO) employee Kathleen Westergaard has made allegations against employer MLA Eric Rosendahl, claiming that he pressured her into doing partisan work for the NDP party on government time. While staff members with the LAO are often tasked with assisting MLAs with the operation of constituency offices, they are prohibited to participate in any partisan work, such as lobbying votes for a party candidate or displaying materials with party logos. In a recent interview with The Weekly Anchor, MLA Rosendahl addressed the issue, “It’s a personnel thing and it has to stay with that.” Rosendahl would provide no further comment. After the 2015 election, Kathleen Westergaard moved to Hinton to work for MLA Rosendahl as LAO staff. Westergaard told global news in an interview that she was directed by Rosendahl to do party work for the NDP shortly after being hired. According to the report, Westergaard alleged that Rosendahl’s requests escalated last spring when he told her that he would be changing her hours to evenings and weekends to focus on his re-election campaign. After reminding Rosendahl in a text message that party business correspondence is prohibited from being sent through the office addresses, Rosendahl allegedly replied that she would have no future with the LAO if she refused to work on his campaign. Westergaard presented screenshots of these text messages as part of the report. Westergaard remained at her job for some time following these requests, but when she eventually refused to do Rosendahl’s party work, she was reportedly fired without cause in June 2018. Westergaard told an Edmonton media outlet that she believed her termination was a result of her refusal to work on Rosendahl’s re-election campaign. There is no known investigation currently taking place concerning this matter. The Weekly Anchor contacted Westergaard for comment but received no reply as of press time. With the recent extreme cold weather alerts in much of the province AMA reports that in just three days they fielded a record number of calls. AMA received 42,000 requests for roadside assistance across the province. They engaged every available dispatcher, call centre employee, service vehicle operator, and contracted partner to rescue as many members as possible, as quickly as possible but the sheer volume of calls means wait times were much longer than usual. Bear in mind, that was for a cold snap in a province typically braced for cold weather. What about an eventuality Albertans are not prepared for? During the February 5th Town Council meeting, Edson's Director of Protective Services Alan Schram said, "Our main message is: are you prepared?" "You should be prepared to be self-sustaining in your community for 72 hours. Depending on the nature of the situation emergency services may not be able to get to you until then," said Schram. "The first thing is to know the risks in our area. We know tornados happen here, and the big one is wildfires. Heavy rains can restrict movement in our community. Power outages and industrial and major transportation incidences can also occur. We need to be prepared for all of these," said Schram. Making an emergency plan with the family is critical and only takes a few minutes. Also very important is to have an emergency kit ready. "You may have to get by without power or even tap water for 72 hours," said Schram. With funding through the Public Safety Initiative, the Town of Edson Protective Services in partnership with Citizens on Patrol purchased 200 emergency kit bags for residents. The free bags will come with a list of recommend items that residents can shop for, to fill the kit with. They are available at the Edson Fire Station and the Town office. Once filled, make sure your emergency kit is easy to find and family members know where it is "like the front entry closet" suggested Schram. - Food that won’t spoil, eg: Canned food, energy bars, dried food. - Any prescription medications, infant formula, equipment for people with disabilities, food and water for your pets. Personally, I have kept an emergency kit stowed in my vehicle for many years, ever since I was forced off a snowy mountain highway in BC and spent a rather cold and hungry night huddled in my vehicle. My only thoughts were how great it would have been to have a sleeping bag, water, a bite to eat, even a candle handy at a time like this. This is why we tip our toques this week to the Town of Edson Protective Services for bringing the importance of disaster readiness to the public's attention. And as Mayor Kevin Zahara stated, "This is very important for our community especially with the risks associated with the mountain pine beetle." 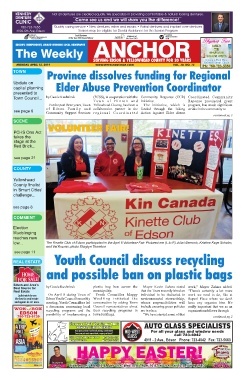 Edson's Town Council was made aware of recent plans to move the Town’s future youth programming center, dubbed the ‘Youth Shack’, into a different building. Over the summer, youth who were part of the ‘Make Your Mark’ project repainted the old Scout shack in Kinsmen Park to be used by the Town of Edson for the future Youth Shack. As for the Scout Shack, youth involved in some of the Parks Department programs will be moved into that building, along with some park maintenance equipment. The Town will be looking into applying for provincial grants and finding other opportunities to provide staffing. Councilor Krystal Baier asked the rough amount of funds needed to be raised to complete the Youth Shack project. “At this point, we had, I believe, $25,000 to put towards the renovations, but we also are going to have to take our operating expenses into that, so that’s going to take it down a little bit,” said Byers. 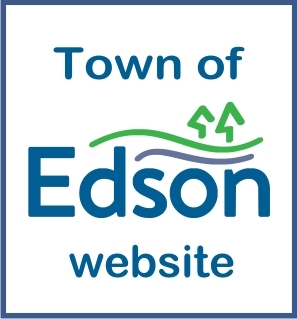 “At this point, I think we need to start tearing the building apart and doing the renovations, which thankfully the Town of Edson staff are going to be able to do, to keep our costs down.Our plan is to fully stay within budget and do as much as we can with what we have." “We originally thought we would need more because we would have had to bring plumbing and water to the other shack, but now that the Parks group has gracefully given us their shack, it’s going to be a far more useful, larger, and better space,” Byers concluded. On January 30, the Town of Edson hosted the band Hillsburn at the Red Brick Arts Centre as a fundraising means and to raise awareness for the Youth Shack project. Copyright © 2013 The Weekly Anchor. All Rights Reserved.